With club duties put on the back burner and international football taking centre stage, there were a number of cracking performances over the past week. 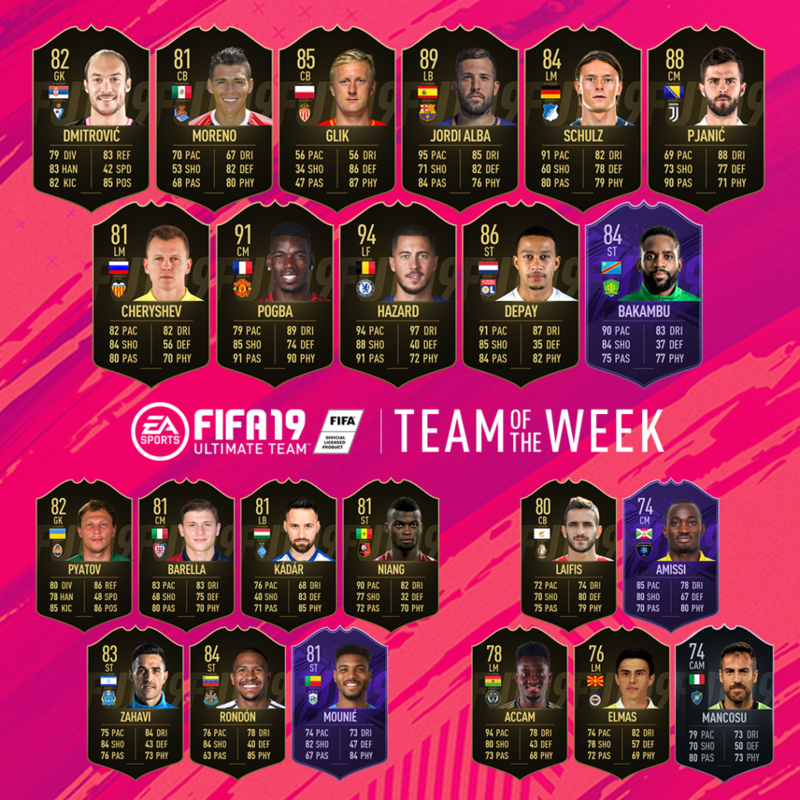 Some big names have found their way onto FIFA 19 TOTW 28 as a result, with some unbelievable in-form player items up for grabs. Premier League standouts Paul Pogba and Eden Hazard will be the first players to catch your eye, with both players starring for their nations in the past few days. Elsewhere, a number of star names from other European leagues have also made the cut. Eden Hazard's 94-rated in-form is the pick of the bunch here. His mixture of pace and dribbling will make him almost impossible to dispossess, while his shooting and passing make him the complete package. If you are lucky enough to get him in your team, you will have some player on your hands. Paul Pogba has been rewarded for his exploits with the French national team with a 91 OVR upgrade, carrying over the strong form he has displayed at club level. He came up with a pass of the season contender against Moldova, and will be a massive addition to any squad. Man-of-the-match Steve Mounié and Soloman Rondan completes the Premier League contingent, with the Huddersfield striker leading Benin to AFCON qualification and the Newcastle man helping Venezuela to a shock victory over Argentina. Jordi Alba's effort is a very well rounded player item, and he should provide plenty of creativity and defensive solidity in a left back role. Memphis Depay is sure to be a popular option once again, while Miralem Pjanić will provide plenty of creativity from midfield. TOTW 28 will be available in packs from 27th March at 18:00 GMT until 18:00 GMT on 3rd April.